Kenny Rogers Impersonation Tribute Show! Kenny Rogers is a unique entertainer, an American country music icon with a world-wide and very broad base of fans of all ages. 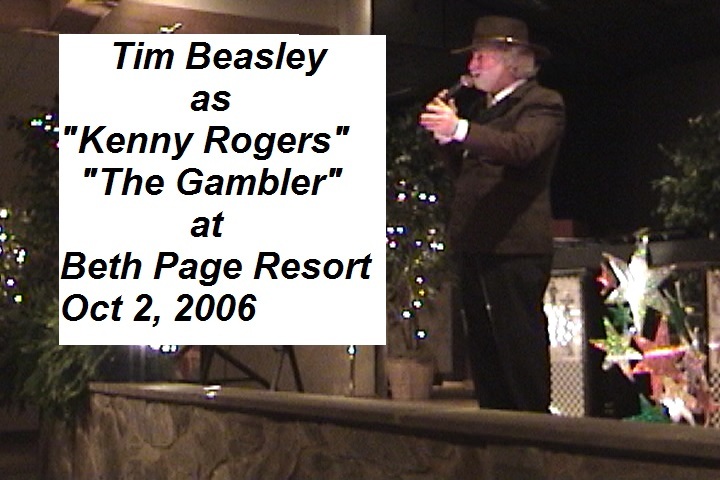 Tim Beasley is also a unique entertainer, in his ability to perform in a wide variety of musical impersonations, known in show business as "tributes." This includes Tim's startling realistic performance of look alike and sound alike vocals as "Kenny" that includes Tim's singing a country-crooner classic like "Ruby Don't Take Your Love To Town" to the jukebox rockers like "Love Will Turn You Around," to the soulfully sentimental love songs such as "Lady," and "Through The Years," all at the drop of a Stetson hat! 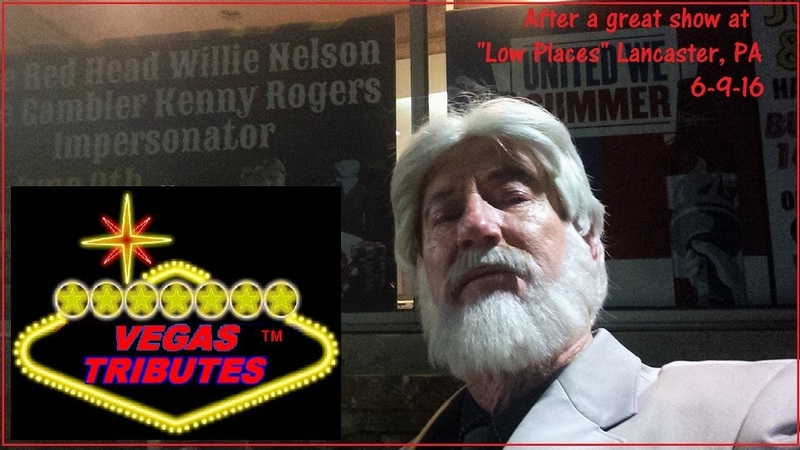 Here's a video on YouTube of our "Kenny Rogers" tribute at the biggest church in Las Vegas area, oh yes, "Sin City" has a very big church, The Central Church of Henderson, NV! This video shows a sampling of many of Kenny's greatest hits, performed for the Fall Family Fest, just last Oct 15, 2016. Watch for more videos of actual live shows coming soon that feature the performances at Beth Page Resort, and also "Seacrets," one of the nation's largest nightclubs in Ocean City, MD, for the huge 4 day custom car show "Cruisin' Ocean City" "Welcome Party." Any special event that features musical entertainment covering the wide spectrum of C&W hits, including mainstream favorites would enjoy the glamor of a Kenny Rogers tribute show...and if you like, Tim can engage a "Dolly Parton" tribute performer to join him for the popular "Kenny & Dolly duets" like "Islands In The Stream," and their recent hit, "You Can't Make Old Friends." 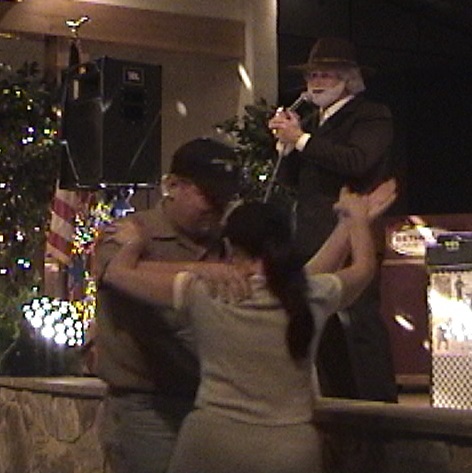 Folks love to step out and dance to "The Gambler's" love songs! 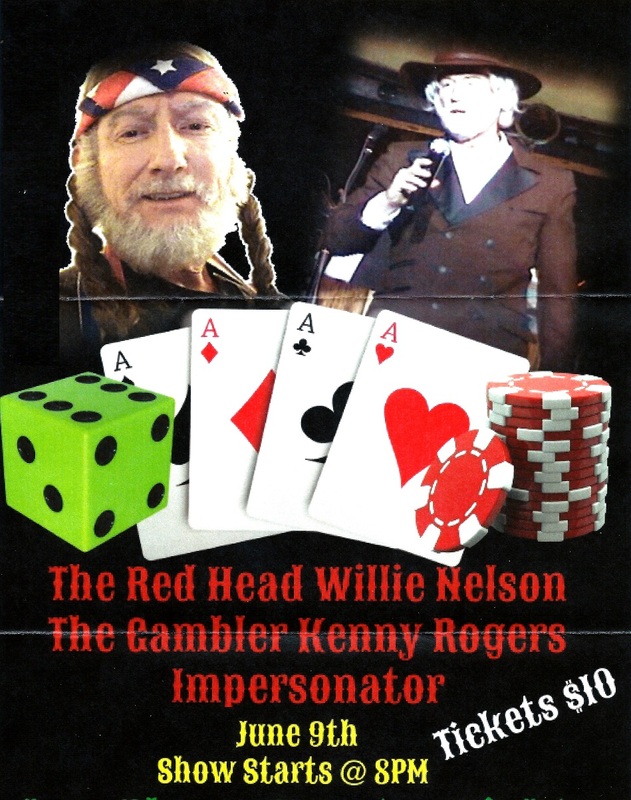 Tim's Kenny Rogers tribute concerts include many of Kenny's #1 hits, and a popular theme for these performances is in "The Gambler" role as "Brady Hawkes," with Tim all suited out in the fashion of Kenny's 'wild west" movie "The Gambler." 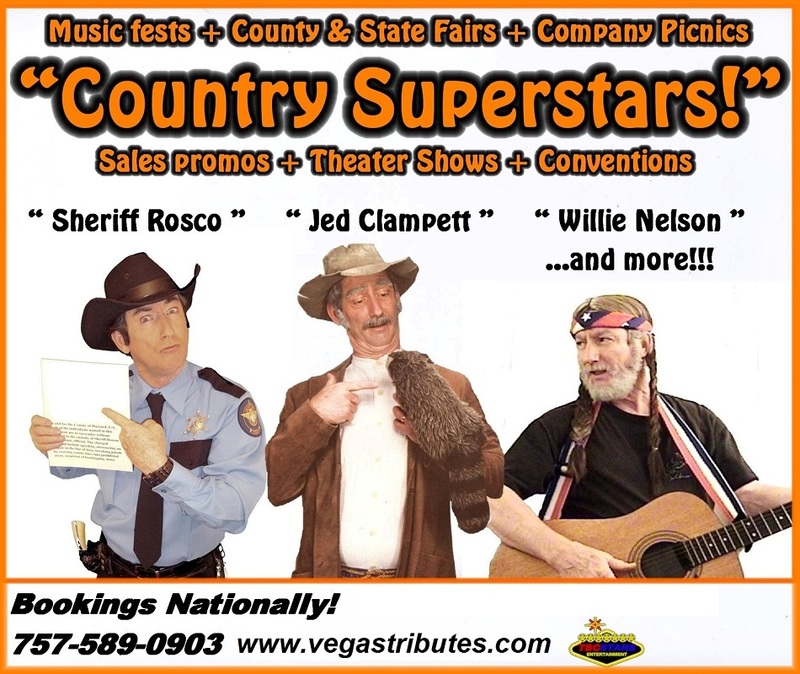 This is also a popular show for fundraisers and perfect for "wild west casino nights" galas. With Tim's many years as a professional emcee as well, it's a great package! "You've got to know when to hold 'em...know when to fold 'em!" Songs "Kenny" will sing live for you! "Love (Or Something Like It) Got A Hold Of Me"
"The Coward Of The County"
"Day Time Friends And Night Time Lovers"
Also you may like to engage Tim's other "Country Superstars!" Music and country - style comedy, too!!! Please call, and "Kenny" will sing you a song! ..or you can text us, too!! !